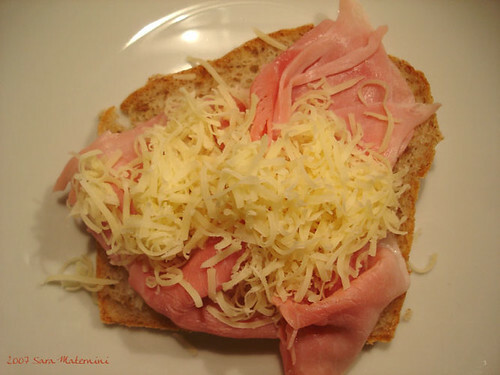 No, this is not a picture of my French hubby, but the picture of the croque monsieur I made for fun yesterday night. 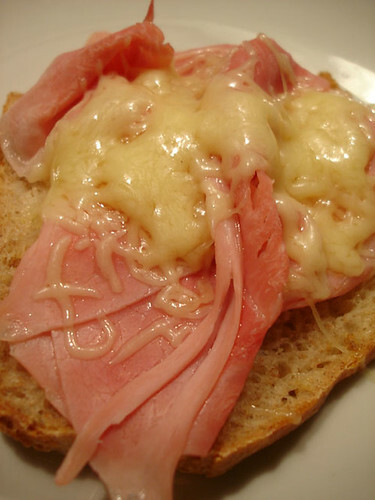 Well, croque monsieur is another of those simple stuff that it’ so simple to get it wrong! Too much cheese compare to the ham, stale bread, poor quality ham and/or cheese… Well, so few ingredients involved, so many mistakes just around the corner! I have to admit I’m not big fan of French street croque monsieur, but when made in the right way, it’s a tasty bite! Do I have to tell you how is made??? Please, I do not want to insult your brightness!